Who doesn’t love a good money-saving, budgeting tip? Mums are such a great resource for all sorts of knowledge. Want to know what a rash is? Ask a mum. Need tips on what to wear to a wedding? Ask a mum. Looking for budget tips? We asked mums on the 28 Day Weight Loss Challenge! We reached out to our Healthy Mummy community for some incredible budget-tips! And this is what we got! Put all your pound coins in a jar at the end of the day. Over a year it really adds up. I do my grocery shopping, online! When the 28 Day Weight Loss Challenge menu is released, I customise it and then start. I have the shopping list open on one tab, and the online shopping site open in the next tab. I just flick between screens, ticking off items one by one. Work out what Christmas costs each year and put money away each fortnight. I meal plan for the fortnight using up first what I have in the freezer and cupboards. 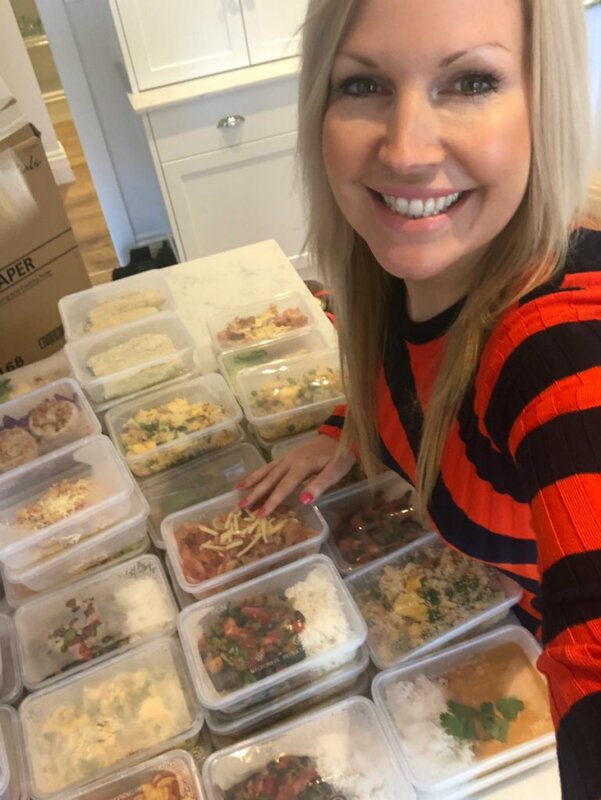 I always make sure there are 2 or 3 meals that I can bulk out and freeze portions or plan to use up fruit and vegetables near the end of the shopping week. Check out Eleanor Hannah’s picture at the top of the page – double batch everything you make! Don’t let your husband do the shopping or he will come back with everything you can’t eat and spend a fortune in the process! I set up different accounts for each bill and set aside money each fortnight to go towards them. When the bill arrives, the money is already there. 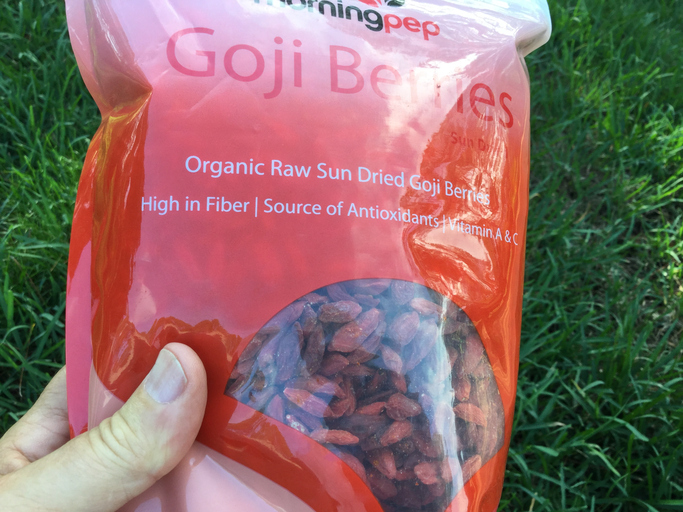 Avoid anything prepackaged. It costs more and isn’t as healthy. I cut out take away coffee and we are saving loads each week. Buy fresh fruit and veggies that are in season. For everything else buy canned or frozen. Some weeks it’s worth putting in the effort to get groceries from a few places, e.g. local fruit shop, Aldi or the farmers’ market. Bulk buying fruit when hugely discounted then chop and freeze it. If I see meat that’s marked down I grab it and then search the recipes in the 28 Day Weight Loss Challenge recipe hub for ideas (like these Curried Sausages below). Check your pantry, fridge & freezer first and see what you can make or what you need to make meals. 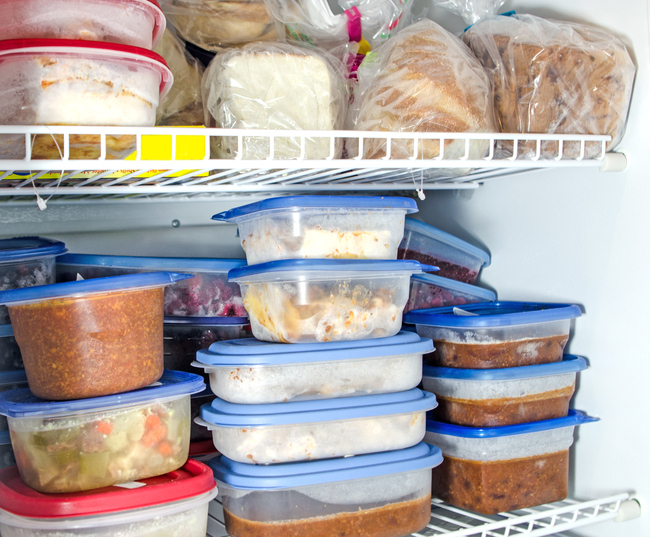 Plan your meals around what’s in the fridge/ freezer or pantry first! I buy meat in bulk and often on special then plan my meals around the meat I have. I also shop around so go to fruit and veg shop and butchers. Different shops have better prices. Look at the catalogues to see what’s on special, buy bulk meat and buy fruit and veg from the local markets. Stock up when staples are on special and don’t be afraid to buy items that are reduced to clear. Meal plan, but don’t set it in stone! Shop the specials & reduced meats/veggies and then tweak your meal plan to suit. 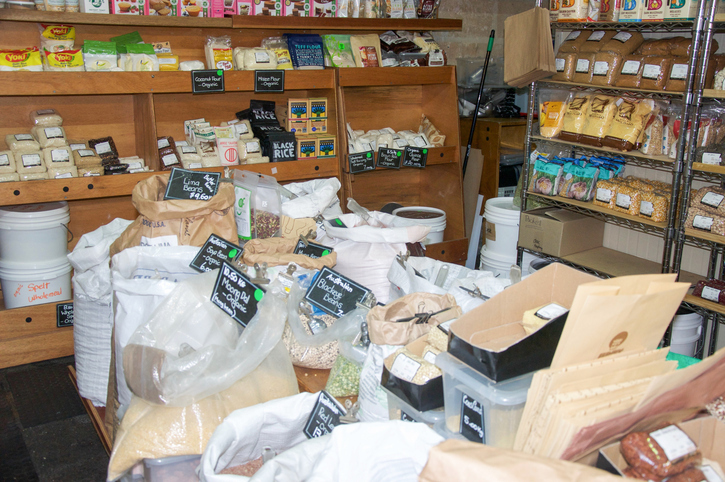 Buy in bulk where possible, but be sure to double check the unit price. Some times it is cheaper to buy the small quantity over the larger. Eat before you shop, tends to stop impulse buying. I like to sometimes duck into the supermarket before a public holiday, or late at night. You see lots of discounted items and then cook in bulk, separate into family sized servings, and freeze them so I’ve got ready meals prepared for the family when I get home from work. Teach your kids the value of money and to work hard for it, otherwise you’ll still be paying their bills when they are 25. Know the best ways to store fresh food to keep it fresh for longer. Also a lot of fresh foods can be frozen (either as is or cooked), if you know you’re not going to be able to finish something before it goes off then try and get it in the freezer. Shop around. Some weeks it’s cheaper to go to several stores for the lower prices rather than one big shop at the one store. Online shopping helps to avoid impulse buys. Look into joining a fruit and veg co-op, it saves so much money. I swap cuts of meat to cheaper options when needed. If you see presents on sale buy them and put them in a “present cupboard” for birthdays. Try to adjust your 28 Day Weight Loss Challenge meals so that you are using leftover ingredients, like if a meal calls for half a pepper, find another one to use the other half. I find I get great bargains on seasonal fruit and veg by shopping at a farmers’ market near closing time as they quite often reduce their prices. We live on soups in winter that are filled with lentils beans etc and heaps of veg, or homemade hummus from the challenge hub (see picture below). And if a favourite pantry staple ingredient is on special at the supermarket I buy 2! Have a mortgage broker review your loan. You might be able to get a better deal. Make use of deal sites for special occasions and meals out. They are also good for gifts. My tip is really, know what you have already got. When money has been really tight I have been able to get an extra week out of what I already have in the pantry. Also instead of buying pre-cut chicken, buy a whole one. I try to buy on special and customise the 28 Day Weight Loss Challenge meal plan to suit. Try buying from fresh food markets and buy in season. Never shop without a list – write one and stick to it! I pay our bills in instalments each pay day and this helps me a lot. Buy home brand for basics like rice or flour. Before you buy something on impulse, go home and think about it overnight. If you still want it then go back another day. Never put non essentials on credit, EVER. I write a fortnightly meal planner on a whiteboard in the kitchen! I look in my cupboards and only buy what we need. Cook 28 Day Weight Loss Challenge meals or snacks in bulk and meal swap with a friend. Make sure you have the right insurances. An accident can completely ruin your financial security. Grow a veggie and herb garden. It’s so easy and saves heaps on lettuce, spinach for smoothies and fresh herbs. Get your husband on board with the budget from the start. Make sure you both get play money. Shop around for better deals on electricity, insurances etc. You can save hundreds or even thousands. Buy household essentials in bulk and split them with friends. Always get at least three quotes for anything. You’ll save more than you’d expect by shopping around. Buy clothes during sales. I never pay full price for my kid’s clothes. Eat less meat. It’s good for your wallet and your health. Search for vegetarian or vegan meals on the 28 Day Weight Loss Challenge. Enjoy savoury snacks like these pizza scrolls. Set saving goals and stick to them. Bring drink bottles when you go out. It saves money and is healthier than buying softdrinks or juice. 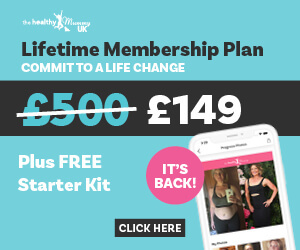 If you want to improve your overall health and wellbeing but don’t have the budget for a gym membership or fancy pre-made healthy meals – our 28 Day Weight Loss Challenge is an awesome program to check out.